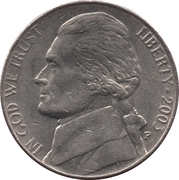 The portrait in left profile of Thomas Jefferson, the 3rd President of the United States from 1801 to 1809, is surrounded with the lettering "LIBERTY" and the motto: "IN GOD WE TRUST"
Includes pre-war issues. Mintage resumed in 1946 as KM#A192. 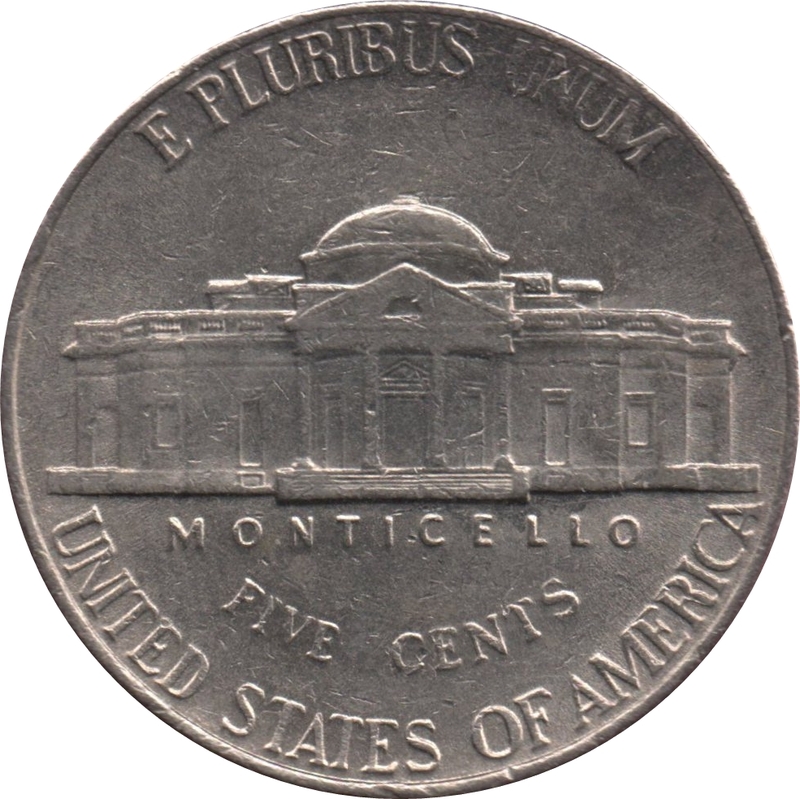 War-time silver Nickel is listed separately as KM#192a due to different metal composition. 1938 thru 1989 = 5 full steps at building. 1990 to date = 6 full steps. 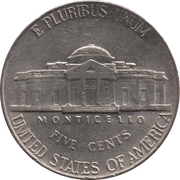 If there is a mintmark, it is on the right of the Monticello on the reverse, above Monticello on the silver war time issues, or to the right of portrait just before the coin edge on the obverse. 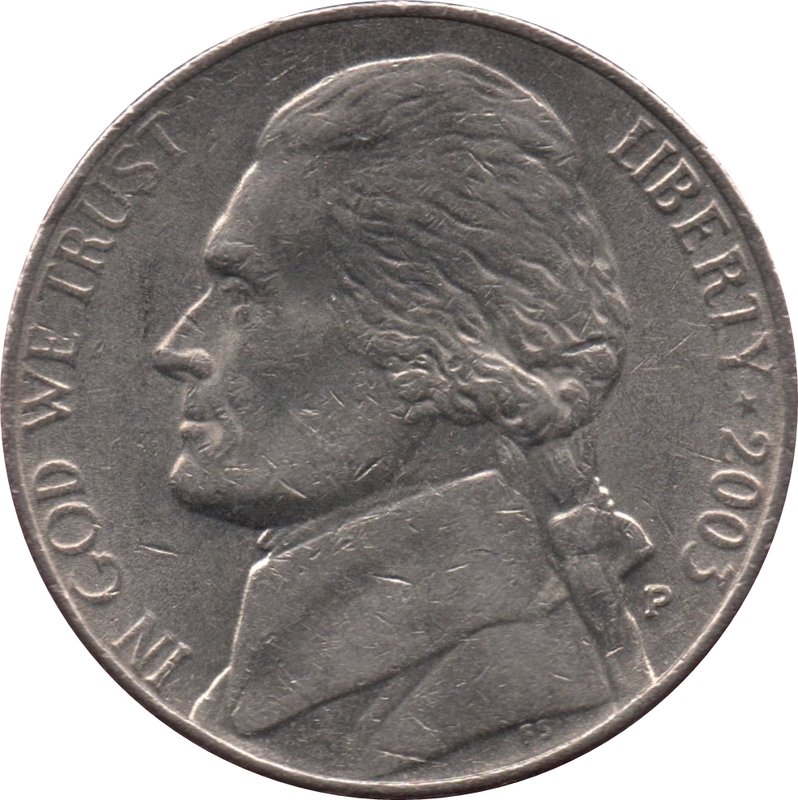 There are 1999 P and possibly other dates, which exhibit DDD (Die Deterioration Doubling). "...the coins exhibit doubling, thickening, twisting and other deformities which results from die deterioration. Die deterioration is the result of die wear or improper heat treating (of the dies) combined with die wear."